Capacity development (CD) actions within the IIOE-2 focus on the IIOE-2 Science Plan and seeks to build on the existing relevant CD strategies and frameworks of its core sponsors (IOGOOS, SCOR and UNESCO IOC). In this context, capacity development that connects the science to its downstream societal applicability is also a major priority for many IIOE-2 stakeholders, and is a major cross-cutting objective of IIOE-2. In order to enhance its proposed CD efforts, for example in support of imperatives relating to the linking of the science with policy, IIOE-2will seek partnerships beyond the core sponsors. The implementation plan for the CD component of IIOE-2 is designed to stimulate research and create associated expertise in the international community, especially among developing Indian Ocean Rim nations. The objectives of this Working Group are thus aimed at contributing to the ongoing capacity development efforts of these nations by enabling them to effectively participate and benefit from IIOE-2. Review current capacity development initiatives in the region and how they can contribute to IIOE-2. Understand current capacity development needs of Indian Ocean countries and align these needs with the IIOE 2 Science Plan. Develop human resources in the context of IIOE-2 Capacity Development. 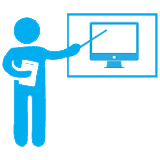 Increase access to existing online training courses, resources and learning materials. Increase access to research infrastructure including on-board opportunities. Increase awareness of capacity development opportunities. CO-CHAIR Iran Iranian National Institute for Oceanography & Atmospheric Science, Tehran. CO-CHAIR Indonesia Indonesian Institute of Sciences, Jakarta. Dr. Weidong Yu China First Institute of Oceanography, State Oceanic Administration, Qingdao, China. Dr. Werner Ekau Germany Leibniz Center for Tropical Marine Ecology, Germany. Dr. Dirhamsyah M. A Indonesia Indonesian Institute of Sciences, Jakarta, Indonesia. Dr. Sidney Thurston USA Overseas Program Development, NOAA Global Ocean-Climate Observations, Silver Spring, MD. Understand the current capacity development needs of the Indian Ocean countries and alignthese needs with the IIOE 2 Science Plan. Carry out a review the capacity development initiatives in the Indian Ocean region and how they can contributeto IIOE-2. Develop a plan for human resources in the Indian Ocean region in the context of IIOE-2 Capacity Development. Facilitate increased access to existing online training courses, resources and learning materials. Facilitate increase access to research infrastructure including on-board opportunities.Increase the awareness of capacity development opportunities.